Credit cards are powerful tools that are helpful or harmful depending on the skills and knowledge possessed by the handlers. 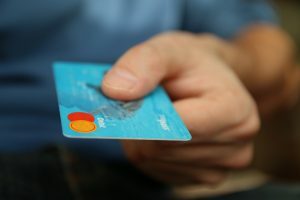 If you are considering opening a credit card, read through to find the basics on how to use and handle credit cards. When you make a payment with a credit card by either submitting your card number over a secure internet connection or giving your card to the cashier, your account gets validated by the merchant. The purchase is added to your credit account after the bank allows it to go through. There are several companies involved each time you use your card, merchants make payments to accept credit cards and the banks issuing the cards eventually receive the payment. Each month, the bank sends you a bill, a total amount for your credit card purchases. You have the option to pay the bill in full by the due date, which is the ideal and recommended option, or to pay a minimum amount, set by the bank, to avoid extra fees. An interest fee will still be added to what you have to pay later even if you don’t pay extra fees. The credit card you apply for depends on your unique situation. You can decide from student card, store credit card, secured card, or a traditional credit card. Whichever you choose, the basic rules for proper handling remain the same. Credit cards are not the best choice if you need to borrow money. However if you have no choice, then aim for the lowest interest rate possible for your card. Many cards commonly offer 15 to 23% interest rate, which could do serious damage to your account. Also, spending should be done carefully with a credit card. Set a budget for what you can afford and stick to it. Usually, credit card companies offer ‘minimum due’ amount for customers who can only afford to pay a fraction of their debts. New credit card users get confused by this concept when they receive their first billing statement. Paying the minimum leads to accruing interest, which simply means you’ll be paying more to the bank in the end. You need to protect your credit card information. Be careful with your card and research how to prevent credit card fraud so that you increase your card security. Always be on alert and be careful where you share your credit card information. Utilisation rate is an important factor where credit cards are concerned. It refers to the amount of overall credit limit spent by you. The best practice is to keep credit usage at less than 30% of your available credit. Using your card sparingly shows lenders that you are responsible, which in turn boosts your credit score. However, don’t forget to use your credit card just because you want to keep usage low, or your card might get discontinued by your lender. Also, your credit card should not be used as a debit card either to avoid gargantuan interest rates.